If I were to argue that the most important aspect of marketing is product design, and that packaging is the sole reason that people make the purchasing decisions that they make, than I would be taking the side of Justin Gignac. Justin is a New York City based artist and entrepreneur, who – back in 2001 – began selling garbage, literally. To settle a debate between he was having with a friend of his in which he argued that product packaging was the most important factor in the buying process of consumers, Justin started collecting garbage of off the streets of New York City. 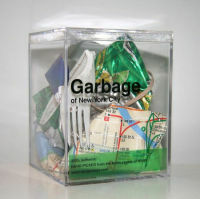 He packages it in a glass cube, with the words “Garbage of New York City” engraved on the side. And to the surprise of maybe everyone but Justin, business has been booming ever since. Customers can visit the website and purchase a cube, each one packaged individually, for $50. And though it is really more of an interesting piece of art now than a study in packaging, it is still a fascinating story. 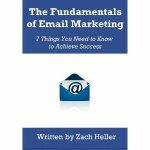 Does it mean that product design and packaging is the most important part of marketing? I don’t know. But it does mean that there is a market out there for your idea, all you have to do is find the right way to sell your story.